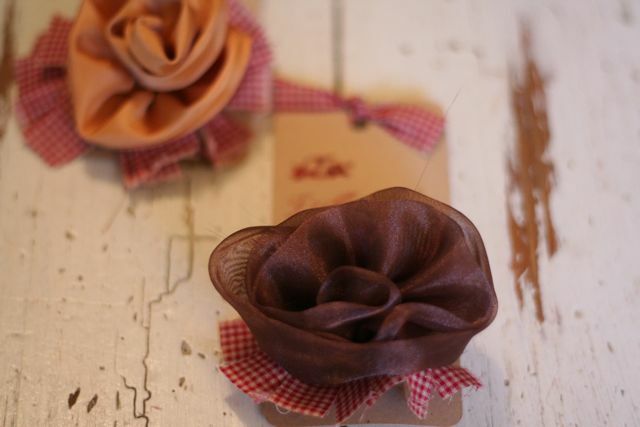 It doesn’t take much time to put together a sweet little country style broach like these ones. I had so much fun making these for the ladies in my family. I made these a little more Christmas colored, you can use whatever fabric you would like. 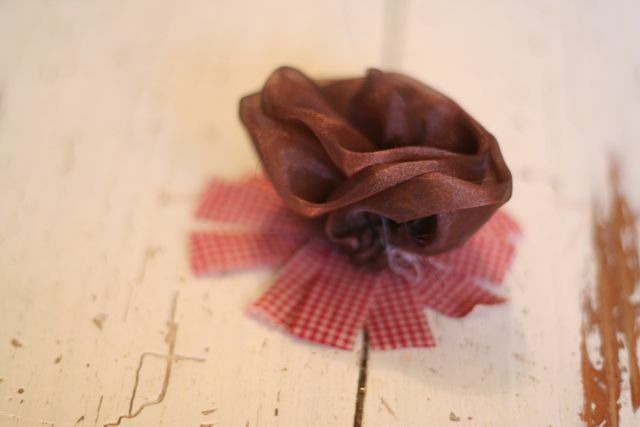 ~Fabric Rose – Tutorials here and here. 1. Take the strips of fabric and criss cross them on top of each other. I used about 7 strips. 2. 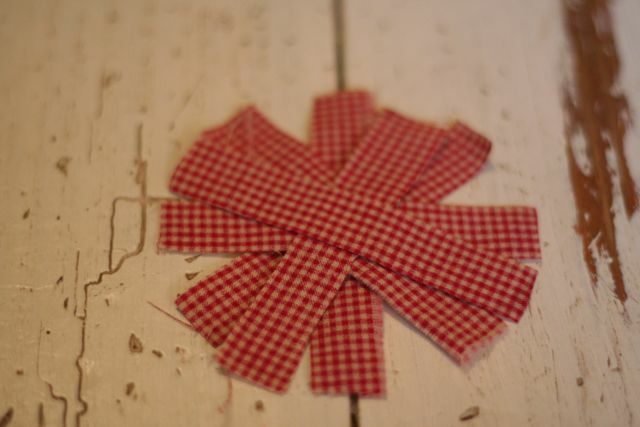 Put the flower on top of the strips of fabric and pinch together around the flower. 3. 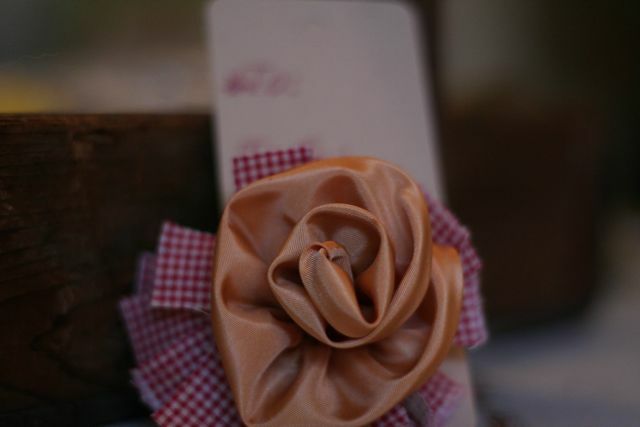 Sew the pieces of fabric onto the flower, making sure to cover up the raw edges of the flower. 4. 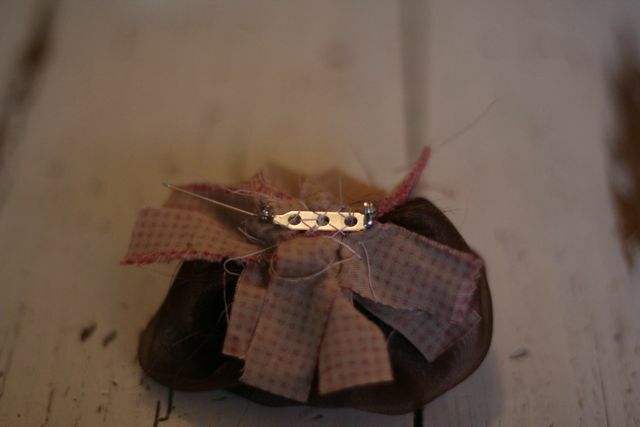 Sew the broach pin onto the back of the flower. 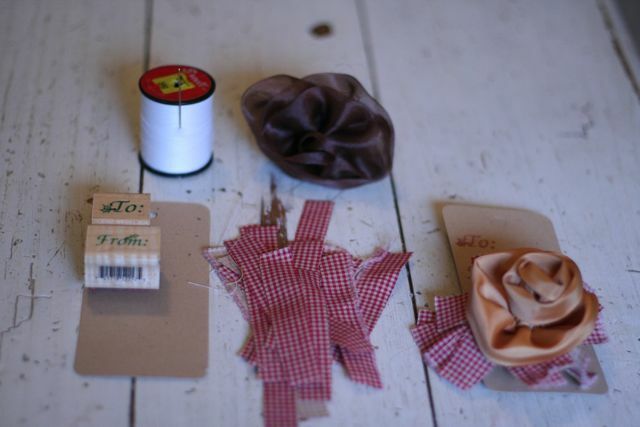 At this point you have the option to glue a piece of material over the pin, so you dont see the sewing. Optional step # 5. Use a piece of stamped piece of paper as a to and from gift tag. 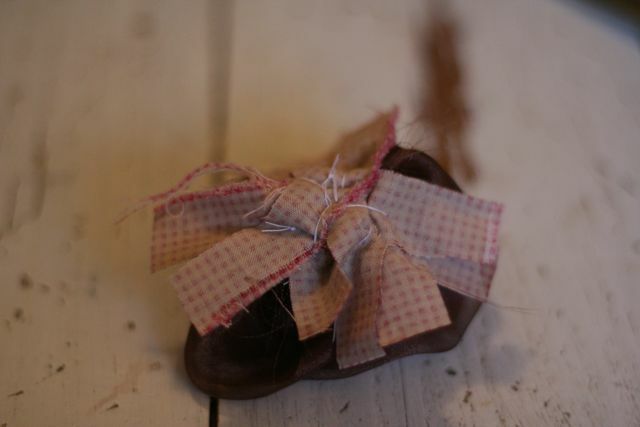 This entry was posted in Christmas, DIY, Holiday, tutorial on November 10, 2010 by Deanna.